Produktinformationen "Mollydooker Blue Eyed Boy Shiraz 2010 Australien McLaren Vale Rotwein"
A blend of Langhorne Creek and McLaren Vale fruit, the 2010 Blue Eyed Boy Shiraz presents a very deep purple black color and is profoundly scented of warm black berries, blueberry pie filling, licorice and cloves with hints of Chinese five spice, mocha and cedar. Very rich, powerful and very full bodied, the concentrated fruit is well balanced by a medium to firm level of rounded tannins and lively acid. It has a very long milk chocolate and coconut laced finis. 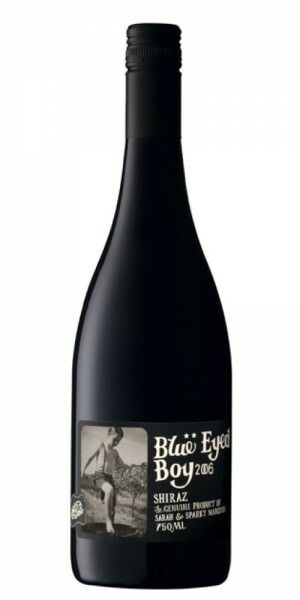 Weiterführende Links zu "Mollydooker Blue Eyed Boy Shiraz 2010 Australien McLaren Vale Rotwein"
Kundenbewertungen für "Mollydooker Blue Eyed Boy Shiraz 2010 Australien McLaren Vale Rotwein"